There is nothing dainty about the morsels here by appearance or the bursts of flavour in your mouth. 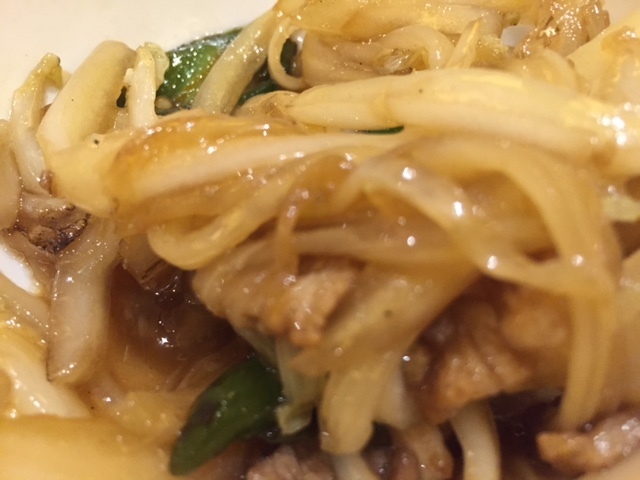 There are a few in this family of restaurants now in Melbourne — in the city there is a food court style in Bourke Street, another in Box Hill that specialises in Chinese hot pots and the third and original at 176 Toorak Road, South Yarra, which is where we dined. 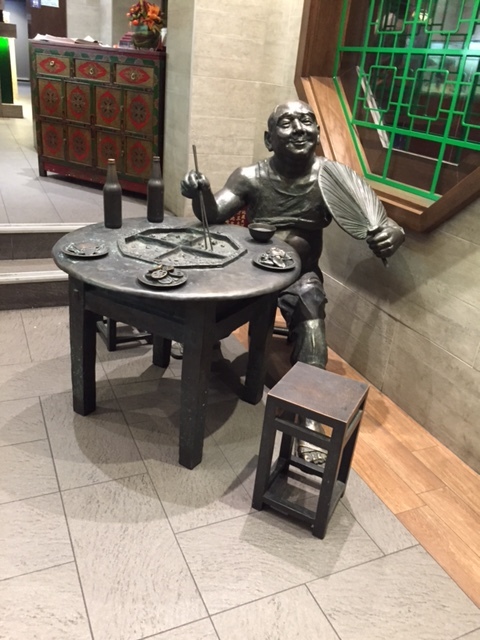 Once you walk into the Toorak property you are greeted by an interesting sculpture of a happy diner, which gets you in the mood for the beautiful murals of Chinese scenes and classic Chinese calligraphy on the walls. 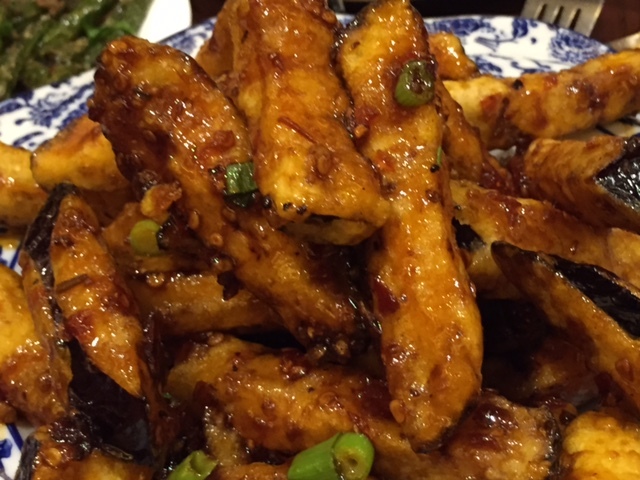 Our friends who frequent this Chinese haven often guided us through the menu. The staff was extremely helpful, courteous and attentive which was a huge plus —as I had read mixed reviews prior to arriving. The vegetarian dishes were outstanding though one wasn’t strictly veggie as they used fish sauce with the eggplant but the crispy sticky eggplant cut into soldiers was an absolute treat. Other veg options were the stir-fried baby cabbage and the duck egg corn this was really yummy and of course harder to eat with chopsticks but I always like a challenge. 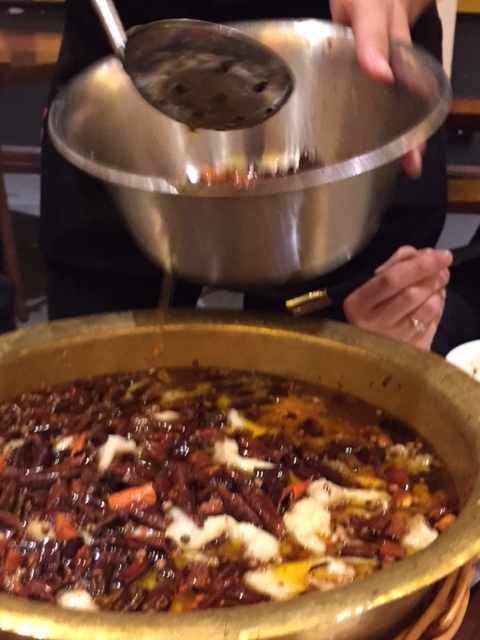 The restaurant seems to do quite a lot of steamboat dishes but we opted for a huge sizzling cauldron of sea bass with you guessed it — sichuan peppers and red chillies — and even after the waiter had scooped off two thirds of the sichuan spices there was still an awful lot of ‘heat’ in the pot. The cumin lamb was very tender and yummy but a little too hot for some. The shredded cucumber was again extremely hot and a few of us shed a tear and reached for our water glasses. Thankfully we knew that this restaurant does BYO at only $2 corkage per bottle so we enjoyed our quality wines with our spicy experience. 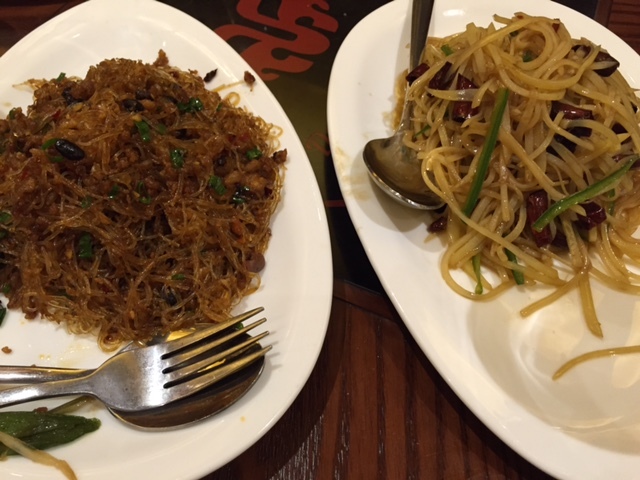 Rieslings and Shiraz were the order of the night, which went particularly well with this Chinese cuisine. The pricing was excellent we had a feast of sharing dishes: 5 vegetarian: corn, potato, eggplant, cabbage and noodles 2 mains: fish and lamb totalling $45 per head.